It doesn’t matter if you’re a first-time homebuyer or you’ve previously owned several, buying a home is a huge investment for you and your family. The decision on where to live and what style of house you’re after is not to be taken lightly. After all, home is where the heart is, and it’s important that it fits your lifestyle, taste, and personality. One choice you have to make is whether to purchase an older home or have a custom home built specifically for you in Northern Colorado. While the decision is yours and yours alone to make, this blog will give you a few reasons why going custom is much more beneficial for you and your loved ones. If you’re ready to start the build process or would like to learn more about Classic Custom Builders and the homebuilding services that we offer, contact us now! As we’ve stated before, one of the main advantages that come with a custom home is that you’re able to really make it your own. We make sure to keep you involved with every decision and make sure to brainstorm with you through every step of the build. We’ll take everything into consideration to ensure that you get the home of your dreams. 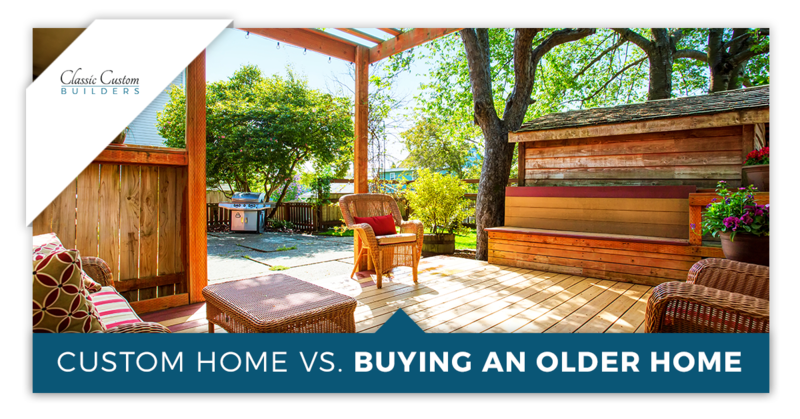 When you decide to buy an older home, you don’t get the opportunity to personalize the home and you’re stuck with what you get — unless you’re willing to pay for costly reconstruction or completely new additions for the home. Many people looking to find their forever homes shy away from having a custom home built for them because they have the assumption that it will be much more expensive than resorting to an older home. This might be the case initially, but down the road, you’ll actually be saving money! With previously occupied homes, you’ll constantly have to spend money on maintenance as well as updating the house to match your modern preferences and needs. With a custom home, obviously everything will be brand new, including the appliances. No need to worry about having the roof repaired, or checking for damage to the foundation. Classic Custom Builders has built hundreds of homes in Northern Colorado, and we are committed to using the best contractors, material, and workers in the industry. As we’ve discussed in a previous post, building a custom home gives you the chance to make your new home as energy efficient as possible. Even without deciding on certain bells and whistles during the build to aid in conserving energy, the home will already be more efficient than an older, previously occupied property. You can rest assured that all of the windows will be sealed properly to keep the cold air in during the warmer months and prevent the heat from escaping during the fall and winter. Your brand new appliances will also help with energy efficiency since all new products have a keen focus on being environmentally friendly. 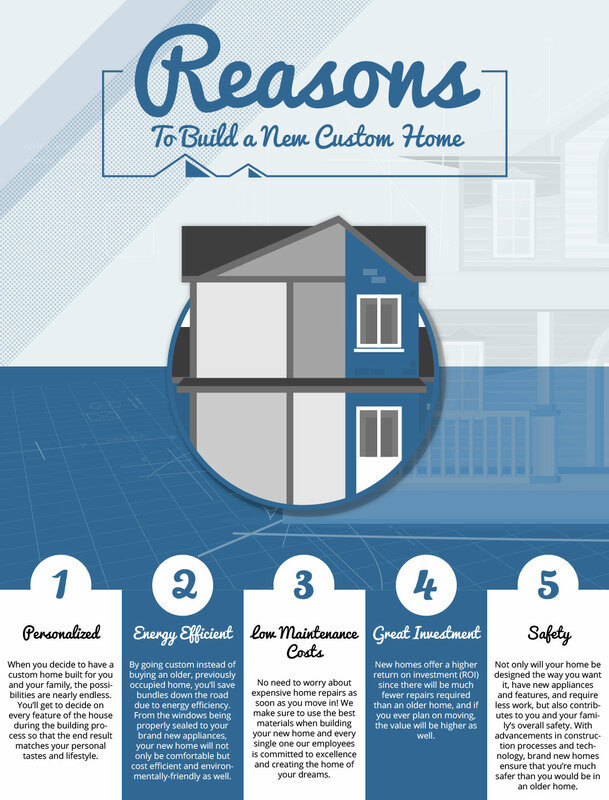 These are just a few of the many reasons why you should go custom. If you’re ready to start planning your new luxury custom home, we’re here for you! Contact us today!